Spring Day Camp Is Here! Looking for some great fun during Spring Break? We are glad to offer a day camp for four days in the first week of Spring Break. 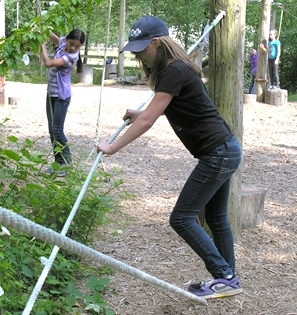 Running from 9:00 a.m. – 4:00 p.m. each day, Monday to Thursday, this camp will have tons of the great activities that Timberline is so well known for, such as horseback trail rides, archery, challenge course, hyper ball, and rock climbing. Combine that with a hot buffet lunch every day, fantastic adult supervision, and fun surprises along the way, this camp is sure to sell out early!